We examined language profiles of 2571 children, 30–68 months old, with autism spectrum disorder (ASD), other developmental disabilities (DD), and typical development from the general population (POP). Children were categorized as expressive dominant (ED), receptive dominant (RD), or nondominant (ND). Within each group, the ED profile was the least frequent. 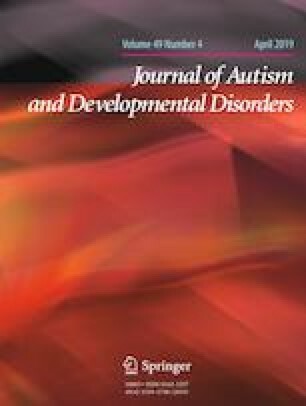 However, children in the ASD group were more likely to display an ED profile than those in the DD or POP groups, and these children were typically younger, had lower nonverbal cognitive skills, and displayed more severe social-affect symptoms of ASD compared to their peers with RD or ND profiles. These findings have research and clinical implications related to the focus of interventions targeting young children with ASD and other DDs. The online version of this article ( https://doi.org/10.1007/s10803-019-03999-x) contains supplementary material, which is available to authorized users. This work was supported by six cooperative agreements from the Centers for Disease Control and Prevention (Cooperative Agreements Numbers U10DD000180, U10DD000181, U10DD000182, U10DD000183, U10DD000184, and U10DD000498). The findings and conclusions in this report are those of the authors and do not necessarily represent the official position of the Centers for Disease Control and Prevention. DBR, ALT, LW, EC, AHH conceived and designed the analysis; DBR, CB collected the data; ALT, JD contributed data or analysis tools; ALT performed the analysis; DBR, ALT, LW, EC, CB, JF, JD wrote the paper.